Review: This is one of the rare companies which has the highest BBB grade. 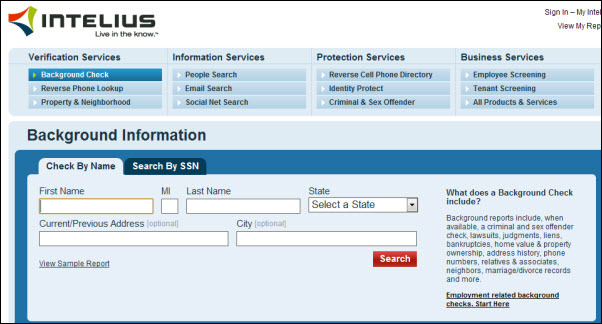 They offer several options like getting an ordinary report (current name, phone, address) and a background check report (everything from the ordinary report, plus history of addresses, all kinds of records and so on). 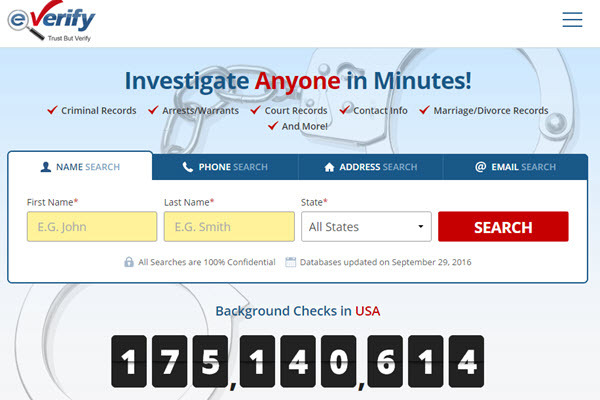 Review: US Search is maybe the oldest background check service online. They are considered to be a reputable company and received positive reviews from companies like the Wall Street Journal and some other mainstream media outlets. They take the third place in terms of popularity, but #1 for reputability. 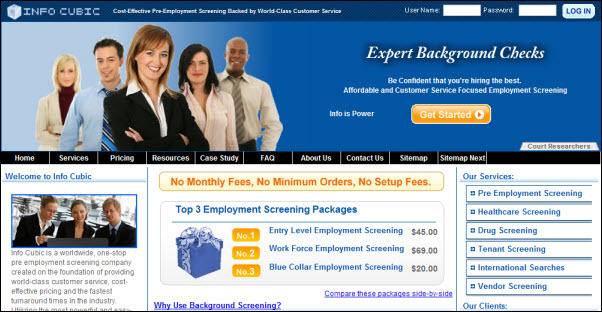 Review: Intelius is the lowest-rated company among these 5 by the BBB. They are, however, the most popular one; they attract more visitors than the rest 4 companies combined. After taking a careful look at the complains Intelius received on its service, I saw that most of them are not because of the quality of the service itself, but the recurring charge by their partner (more on that later). 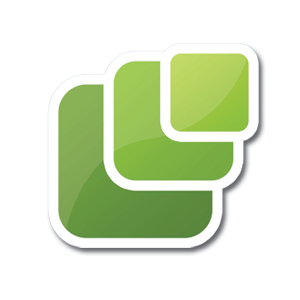 Review: Info Cubic also seems to be a good background search provider. Their BBB rating is high and they were founded 8 years ago. 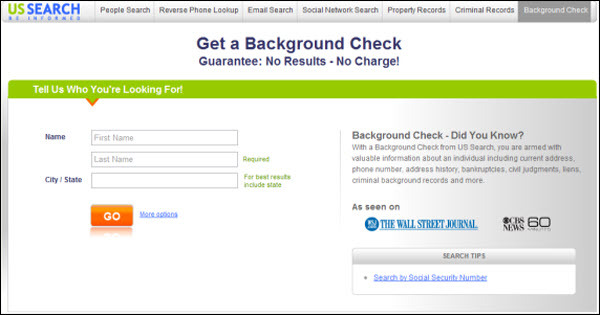 Review: It’s not an easy thing to find a background check provider with a good Better Business Bureau rating. I’ve included Identity PI because they seem to be a really nice service that allows you to search by multiple criteria (name, phone, address and so on). This section is for those who are interested to learn more on the criteria I’ve used to evaluate the businesses above. 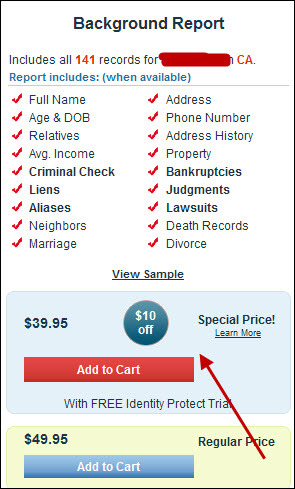 You see that “With FREE Identity Protect Trial” text? If you sign up for the $10 offer, you’ll sign up for a monthly recurring service that will renew automatically. Some people forget to cancel the service before the end of the month, so when they are billed automatically, people often complain, say that the company is a scam and so on. So be careful if you take those “10-30% off” offers and don’t forget to cancel before the end of the month. 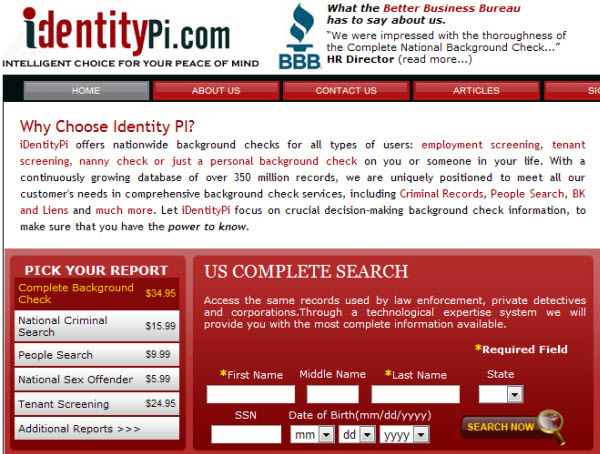 Here are the BBB ratings of US Search, People Finders, Intelius, Info Cubic and Identity PI. – Alexa.com – which gives you an idea of how popular a website is in the entire world. – Compete.com – which gives you an idea of how popular a website is in the US. The higher the number is, the better. I’ve decided not to include the current rankings for the 5 companies above because they constantly change. You can get an idea of how popular a company’s website is, however, by reading my reviews on them above. As for the date founded, I think it’s a good metric because it distinguishes good/reputable from newbie/risky businesses.